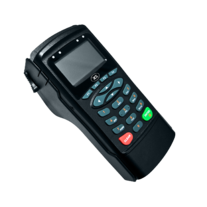 ACR89U-A2 is a handheld smart card reader with NFC tag support. 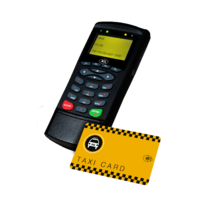 Primarily designed for a multi-application environment, it can access any contact and contactless smart card following the ISO7816 and ISO14443 standards. 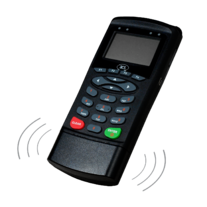 This portable pinpad reader has a dual smart card interface and a contactless card reader module. It runs with 32-bit MCU, and has LED indicators, 128 x 64 high-resolution graphical LCD, buzzer, rechargeable battery and large programmable memory. Through these features, it enables users to perform secure smart card transactions in both in-house and field environments. ACR89U-A2 comes from the ACR89 series which provides the unique advantage of having two modes –PC-linked and Standalone–to cater to unique user requirements. For its PC-linked mode, it connects to the PC via its USB cable; while for its Standalone mode, it uses its Lithium Ion Battery to run wirelessly. It also comes with a serial Interface port that enables connection to other peripherals. It can provide optimal solution with additional thermal printer support.